Cloud Professional Services Automation software for small-to-medium sized businesses. Includes fully-integrated Project Management, Collaboration, Time Tracking, Expense Management Quoting & Invoicing. 100% Mobile friendly. "Quality planning and managing projects at early stage of a company or an idea! " I do like the simple interface, it's really easy to learn how to use this platform. They offer a vip-class support via chat window (there's always someone there), and I think the most important thing is that using free account, you can collaborate with as many partners as you want! Integration with expenses and income is very good and convenient. - Expense reports are lacking information that I fill in when entering an expense. - When entering an expense, there's no way to mark who's the team member that payed for the product. Very good product for managing your small/medium company. Please note that for now, some reports are lacking a-lot of required information. Since I'm using Avaza for a startup that in its very early stages, most of my benefits include Gantt managing, adding and managing team member's tasks, and controlling expenses. Using Avaza, I'm solving a-lot of management problems and communication between team members especially. "A terrific hub that connects almost every aspect of our business"
The design of the interface and functionality of the controls are simple and intuitive, so it's rather easy to jump in and start using it right away. There are lot of different features that allow us to add information about things like project tasks, assignments, goals, client details and just about anything related to work activities. There are several visual tools and charts that give us a quick glimpse into a specified period of time. I like that users can update information and have that information reflected immediately for everyone that's connected in Avaza. Well, I've been using Avaza for a few years and haven't found much to dislike about it. I mainly use the standard features without any advanced custom options, so perhaps if I explored more integration type stuff, I'm thinking it probably won't be as easy as my usage now. I would recommend Avaza since it's a not only efficient at processing data and displaying it in an way that's easy to adsorb, but it's also easy to work with and can perform complex tasks without the need for programming or anything complicated from a technical standpoint. The Avaza system has been super for keep me and other in the loop about almost every facet of deals, projects and other work activities. We can access vital information quickly without having to send requests and waiting for someone to send something to us. It really saves time by reducing communication and other logistics needed get tasks done. We can smoothly transfer data to different business components, so our need for added data entry is minimized. "The most suitable solution for Project management that every Organization needs to have." What I like most about avaza is how it designed well to be easy to use and has a simple and intuitive interface that make it easy to navigate.Again I liked the way this software is useful for time tracking of team members and time used to carry out project.Likewise it's easy to manage expenses,quotes and invoices with this software.Furthermore it's very free to create an Avaza account because it has a free trial version.Additionally,I like the way it easy to prepare timely and powerful reports about the progress of every project.Moreover,Avaza integrates seamlessly with timesheets to bring more productivity.Finally,project budgeting is easy with Avaza. I absolutely have no drawback while using this software because it's best project management tool to have ever used and it's competitors cannot beat it.It's work using and very reliable tool. It's our go-to solution for task and projects management thus it's worth trying. Provides timely reports on projects progress. For great project and tasks management. What Professional Services Automation solution do you use? "Control your invoices and direct your projects"
The attendance sheets is one of the integrations that we consider most useful. It is a good method to see the efficiency of an employee, to check how he is doing his job and what is the performance of his work. Directing the teams through Avaza also means that there can be greater coloboration among all the members of the different teams. This facility to work as a team means that any change or doubt is much easier to discuss for later implementation. I also believe that personalized reports can be created with the necessary information to send them to clients and that they can see the progress made in the development of our business work with respect to the orders they have given us. Assigning time and making certain modifications to tasks is somewhat complex at the beginning. It has been a bit difficult to understand how the tasks work and how to adapt them to our needs. Avaza is a good system for companies that need to control their projects more and have more information so that customers have more participation and for teamwork to be more effective. Generating a better workflow is what we have achieved with Avaza. We have a broader view of the objectives of our company and the work that each of our employees does to obtain these elements. We have better communication with customers, since now we can show them reports with more data, we can better explain how the projects are going and we can take their interests into account in order to make changes. "Best one-stop for project management and billing"
The integration of client relationship tools allows us to manage everything needed for our consulting clients in one place. We moved from Asana to Avaza and miss the templates, especially the Rolling Agenda. We did, however, create our own. It would be a nice upgrade but isn't a knock against Avaza's overall usability. You will need to take some time to click around before deploying the software to your entire team. We eased our team in with a Rolling Agenda we work from during each meeting. With just the tiniest bit of training, your team will be up and running. And don't hesitate to reach out to support. They are very helpful and responsive. We have a unique partnership, separate businesses and a team of four helping to manage all of these. Avaza gives us a hub for our entire team to keep up with the many moving pieces off our three business ventures. We also use the project management tool for our clients to see the progress of their contracts and items we need them to complete. Avaza is amazing does the job for all project management issues. We use Avaza daily and whenever we need help with anything they are quick to reply. Some of our requests have been a bit crazy but they have never not answered us. Timesheets on avaza are great for our company as we can see how productive our staff are really being. Customised reporting is great and you can have them sent straight to the customer via email. There isnt alot that we do not like but one thing we would love is more customisation we would love to put our branding in a bit more. Just do it it is the best project management tool out there. Their customer service can not be faulted. I highly recommend using this platform. You can vote for new features which I think is great as they are really listening to what the customers need more than anything. We are a small R&D company and we were missing more and more a project management tool. After vacation period, we were really motivated in finding the best solution...but it has not been an easy task! projects and teams in an easy and user friendly way, at an acceptable cost. asically, we do not like the fact that a view with the "big picture" of all the Company projects togheter, is missig. to avoid overloading a resource. There's also a notify checkbox when you create a task. Unchecking this means we don't send the user a notification email. For Gantt, I understand what you mean, especially in the higher level zooms (month/year) as it's hard to place the task at a specific time of the day. However, you can easily zoom in, and the lower zoom levels allow you to do so. I'd recommend getting in touch with support@avaza.com if you have any questions. "Great way to keep track of time tracking and invoicing"
I did a lot of research to find a service that would allow me to simply keep track of my freelance hours and create invoices automatically and Avaza does that really well and it's easy to figure out and use. I like that I can enter hours manually but also track in real time if I want. The free version has all the features I need right now too and the invoices it creates are nice and simple and I can also put my own logo in there too. Could be a little more intuitive in putting times into a timesheet/tasks - but I am still figuring out the best work flow so it may just take time to get the hang of it. The free version is great so worth giving it a go and seeing if it does what you need it to do. Helps me keep track of my freelance invoices and will be really helpful to have all in one place come tax season! Can create reports as well so you can see a big picture of time and projects etc. "Intuitive, Streamlined Project Management Software--It does the things"
The best thing about Avaza is that it was thoughtfully developed. The settings in each module and the integration of the modules with one another are intuitive and streamlined. The parameters by which projects can be set up allow users to handle different types of project work. Fixed Rate Billing? Invoicing Project Time? Resource Scheduling? Time Tracking? Project Profit Reporting? Resource Utlization? Avaza has all of this; and so much more--with the best rate and customer service for any similar product (we know; we did the research!). We've had some kinks to work out with our Quickbooks integration. That's the only growing pain we've seen with Avaza. However, the customer care department has been extremely responsive and helpful in working out these small kinks! Also, we wish there was a more intuitive way to handle PTO requests and tracking. Schedule a demo. Download the trial version. Compare the features to similar softwares. If you do these things, you will see the benefits for yourself. Our organization found Avaza, when looking for a resource scheduling software. One of the biggest benefits we realized after integration was all the different ways in which the software helps in the area of communication. From internal project communication to communication with clients and date/time stamps when invoices are sent (also, you can see when an external user actually views a sent invoice!!! ), communication was clearly considered during development. I spent 48hours researching and trying many different project management solutions and I eventually chose Avaza. It was an easy choice to make as it is so easy to use and offers all of the features I need. I can manage projects, track time spent on individual tasks - including internal projects as well as personalised invoicing and estimates with online payment links. I especially like the fact that I can setup a new project straight from an approved estimate. The only issue I have had so far is that to track time you have to be able to tie it to a specific task on a project. It would be nice if I had the option to just add time to a project without actually having to add a task in every time. Although this has meant I am far more organised as I have a task set up for everything I do. The free option has almost all the features of the paid plan, I recommend having a play with this first to get to grips with it. Although it is more user friendly than most others I have tried. My organisation has greatly improved as well as reducing the time I have spent setting up orders and sending estimates and invoices. "Avaza is great for tracking time and expenses"
I like the clean, simple layout and the ease of use. I also like the option to time your projects so you don't have to keep track of your time manually. I don't really dislike anything about Avaza. I have only been using it for a couple of days so far, but it seems like a great site for keeping track of projects, time, and expenses. The company I work for uses Avaza to keep track of time spent on projects as well as expenses charged to our clients. It really helps us keep track of how much time is spent on each project, and it helps us manage our time better as well. It makes it very easy to see exactly where our time is going throughout the day and how we can better manage our time for our projects. I love the organizational flow! Avaza is functional and intuitive. Aside from timesheet management, the projects tab is my favorite destination. Having all of my clients perfectly laid out on one page is nothing short of a miracle. Discussion feature could be better -- very "A" to "B," rather than a natural flow. I back Avaza up with Slack for communication, using Avaza as the structure for day-to-day tasks. As a freelance graphic designer, Avaza keeps me seamlessly connected to the agencies I work with. Task management is a breeze -- with the added bonus of time tracking, which keeps everyone on the same page for invoicing. All-in-all, Avaza makes working remotely as easy as working on-site. "New User of the app"
I don't use all the functionality yet but it seems to cover pretty much whatever a PMO + PM tool would need. The UI could be made more interesting and appealing. I am managing the tasks and release for a prototype I am making with a small team. If this goes well then I might end up using the same for the entire project development. I would like to know if there is integration with GitHub or BitBucket available with the tool. "Awesome all in one project management! " As a freelance developer, I can do everything in one software. Create and manage projects and tasks, assign them to my team, let customers access timesheets and tasks, and then invoice them using Avaza. Everything in one software makes it easier for me to keep track of everything. They don't have accounting yet. They also don't have a calendar within the app that I can track tasks on. If you need an all in one business management solution, this is it. You can track projects, collaborate, keep clients in the loop, bill them etc all in one place. Staying on top of project deadlines and making sure we make a profit. The project management module is super powerful as we can track time spent on each task and compare it to estimates. The interface is very straightforward, and the app is easy to get up and functioning. Very little; however, it would be convenient to have an option to send the invoice straightaway after creating it. Settings are very important to get right, in order to have a smooth workflow during invoicing. You may have to try several times to get it the way you want it, but it's pretty easy to navigate the settings and figure out what settings give you the results you want on the finished invoice. My clients receive clear and concise invoices showing all time spent and services rendered. The app reduces client questions as to what the invoice is for. Avaza has the ability to track time spent on certain jobs for both payroll and billing purposes. This software provides the ability to create and track different jobs per user job number creation. And even has a built in clock, so that one can get to the minute time tracking if needed. "Avaza is a great little tool"
I am a one man company and I was looking for a tool that I can use to have all of my project organized, track the time I spend on each task, and linked together my expenses and invoices to the projects. Avaza can do all that for me. I am new Avaza and I'm still trying to figure out how to use all of it's features but I have been able to organize my projects and tasks in a way that is more easily manageable. We now have an easy to use central location for Project Management and Time Tracking with workflow. Much better than separate systems like we had before. The ability to scale based on our project team size and all the underlying workflow functionality is very good. Our primary object was to find a cloud application that was accessible by any device and could easily capture time against project tasks. Avaza has that and much more which has taken us time to explore and see how we can fit it in our workflows. We tried many apps before Avaza and couldn't find one that had the functionality and ease of use that we wanted. Fortunately, we found Avaza and took to it very quickly. We were also very pleased with the integration with other apps we use making our overall processes more automated and seamless. An area I didn't think we would use much was Reports, but we've found it to be very helpful at getting snapshots of each project and all projects as a whole. "A simple yet powerful project management tool"
The product is very easy to use and user-friendly but also includes great powerful features. Project management and Time tracking are what I use most of the time. I am happy that I gave this a try. Cost effective overall. There is nothing to be least liked in this particular software just that the product is huge. I only needed it for invoicing - hopefully, I can use it for its other features someday. It is extremely easy to use and very user friendly. Highly recommend! I use it for Project management, Invoicing and Time tracking. It made everything simple and time efficient. "Best overall product to meet a plethora of needs"
It's pretty easy to use. It's not overflowing with bulk features that most people don't need and at the same time it's got a lot of features the other products we demoed didn't have. We chose this over Harvest, Bigtime, Paydirt, and eBility. There are a few downsides. I'd like to be able to see my timesheet by month instead of just day or week. Also, it would be nice to have a way to change the default billing method for all projects. However, the support is super helpful and is actually interested in feedback, so hopefully those are features that will get incorporated. We were looking for a replacement for our billing program, but this ended replacing our billing program and our project management program. We used Asana previously, which is awesome, but Avaza is very similar and intuitive. Making the switch from Asana to Avaza cuts down on having to duplicate the info into a separate billing system. "Really amazing value for money, easy to use, solid functionality, and excellent online support team." This product is really well priced and punches way above its weight when compared to similar workflow, project management software solutions. It is easy to use and get started. The UI is simple and uncluttered, so it is far less daunting than some other leading brands that throw the kitchen sink at you. There is no on boarding process offered which might be a deal breaker for some. Because the product is very affordable its understandable that it doesn't have all the features that one might expect, such at @mentions for internal communication, advanced gantt charts or pre-view windows for view attachments before viewing. That being said the Team at Avaza have been really amazing in responding to suggestions or when dealing with issues and the product has already evolved in the 4 months that we have been using the system. "The right features at the right price." Avaza has a wide range of features I like, including their pricing structure. The user interface makes this product easy to use with little learning time. The reporting capabilities are amazing, with a very large collection of default reports. Plus, they offer a variety of filtering options for each of the reports. Being an cloud-based application also adds amazing value to the product. Time tracking is another very useful feature. It allows to enter estimates and actual times and run reports based off these numbers. Additionally, a timer is included, for those projects where every minute counts. The project management and time tracking closely integrates with its built-in invoicing capabilities, making this almost an all-in-one solution for managing and billing on projects. The only thing I would like to see is the ability to assign multiple people to tasks for each project. For now, I simply create duplicate tasks when more than one person needs to engage with the same task... or add them as watchers. But despite this, the other benefits more than counter this. Definitely run a trial and put the reports through its paces. It has lots of reports and it took me a bit of tweaking the filters and testing each report to locate the information I needed. The setup and addition of new projects and tasks is very easy and requires little training, as the UI for this product is well thought out. Avaza is solving my project management needs. In an environment where 10+ simultaneous projects are active with a small team of shared resources, Avaza allows me to track the work for each project through its reporting mechanisms as well as flexibility in project views. I can view projects in list, Kanban and even Gantt chart views. "Everything you need for a solo freelancer!" I love the project management to share with clients. They can submit tasks and follow the progress. Invoicing is right there, too! It might actually have a bit too much for me. I'm a solo business owner and don't need timesheets and some of the sales reports. Great product for team and client collaboration. Detailed task lists and ability to make comments, track time, expenses, and more for each task/project. Invoicing was another key feature that is implemented easily. Keeping clients updated on project progress without all the emails. Streamlined invoicing linked to projects is a big time saver. "Avaza is simple and clean"
It's so simple! I've been searching for the right project management software for months and finally found my answer in Avaza. It's never glitchy like others I've tried have been. It's reliable, clean looking, not overly complicated, and easy to set up and learn. I used Apptivo before that had many excellent features, but Apptivo was always having technical issues and glitches that they couldn't seem to fix and it was so complicated and time-consuming to set up. Avaza was the complete opposite and hardly took any time. I wish you had the ability to view tasks in a calendar layout, schedule events/appointments associated with projects, and integrate easily with Outlook Calendar. I also wish you could make sub-tasks that you could schedule like regular tasks. However, everything else makes up for these little inconveniences. Seeing my projects all in one place, daily tasks and workload; time tracking; invoicing -- all in one place. I'm saving a lot more time and being more productive than I ever thought. I thought it would be difficult to set up and use for a solopreneur and freelancer such as myself but it works perfectly. "Healthcare consulting firm business management application"
Avaza had all the components we needed with good functionality. There were few good project management & collaboration tools with time tracking and invoicing at the price of this product. Project management functions could be better. There small bells and whistles that are missing. I've not seen how/if the company will respond to feed back. There could be more functionality to write proposals that tie to a quote. Currently you can attach a proposal but the client would see the quote before reading he proposal which is not ideal. You can trial this product for free without having to receive a demo or talk to a pushy salesperson. I highly recommend taking advantage of this. We needed a way to manage clients, proposals, and accounts receivable in addition to a project management and collaboration tool. Avaza offered each of these functions with reasonable functionality and aesthetics. It had the added benefit of giving us some ability to understand the true resources being allocated to the work we do. "It has everything I need in a very understandable way"
Avaza has a very good way to organize the projects, it's simple yet very easy to understand and use. I was struggling to find a good project management system that was easy to understand, with a fair price and with time-tracking control and reports. Also, the price is very fair. Avaza has everything I need and the reports section is just amazing! The only downpoint so far is that it doesn't has a "testing" status in the kanban board. But it's easily fixed by putting a tag or creating another section for the tasks. It's very easy to use and the plans are considerably cheap for what they offer. I was struggling to find a good plan with a fair price for a project management system and, also, I wanted to track my time and see the estimation x reality. "Easy to use with effective outcomes." It's simplistic design gives you a good user experience and being able to copy previous weeks entries help me save some time. There is nothing really to dislike, however, while copying the previous week's or day's entries, it should also allow to copy the remarks as well because many a times your description of work is same between days and weeks. It can help you save time while tracking the time better. It's easy to use UI makes for a great UX. It offers multiple project management costing features which can save you from using multiple tools. "Great no-frills project management software with time-management and "
With Avaza I liked that we could upload files into the to-do's themselves (and that they didn't have to be attached to a comment or timeline). Seeing status percentages on to-do's and projects was a neat feature that I haven't seen carried out as eloquently as it is on Avaza. Likewise, the time-clock works very effortlessly, and reporting was transparent and easy to use. Having a full text editor on to-do's is great, especially when working with web developers. I think the biggest problem for us was just the UI. It's clean, sure, but it's hard to use the horizontal workflow on a 15" screen. Even though this is admittedly pretty trivial it caused me to switch to another software. The dashboard is pretty pointless if you're not using Avaza for accounting or aren't as heavily invested in project stats. There's not an easy way to get notification feeds or interact with other users activity. Even though this is standard with project management platforms, I don't typically like per-user pricing structures, even though Avaza's isn't that bad compared to other services. If you're not using Avaza for invoicing or aren't super data centric in your project management you may not like how simplistic or social Avaza is. We used Avaza for workflow and project management. We really value a time-management solution that integrates with our projects and tasks- and that was actually the main reason we initially switched to Avaza. "Avaza - Easy Startup, Great Solution So Far"
Ease of Onboarding. Timesheet entry. Support group very helpful. Configurability of system. Startup time was minimal. Customization of invoices was good. Clients have been eager to accept invitations and no complaints about file sharing. Cost of integration with Quickbooks. Chat feature could be more robust and like an instant message feature. Could easily become full accounting system for professional services company by allowing full P&L. Easy to use and startup. Does cost to share data with Quickbooks. Good solution for small to medium professional services business. Allowing clients to upload files. Time Tracking. Initial rollout has gone smoothly. Invoicing was easy to setup and use. Sending invoices went off without a problem. It is possible to use Avaza without paying with all features. Yes, there are limitations but its still enough for my small business. And if my business start growing, I would definetely consider upgrading my account. Lack of foreign language support. Most of my clients are non English speakers. Ability to change the system language would be useful. Start with a free account and see it for yourself. Time tracking and invoicing. I can see how much time Ive spent on a project. "Excellent all-in-one project management solution"
There are a lot of features and they all work as expected. Very nice real-time Kanban board, like Trello, but it's combined of lots of features that Trello is missing. Integrations with Quickbooks and Xero. The Kanban board columns are too wide. Only 3 fit the screen. Hope there'll be some design tuning soon, so that more columns fit the screen and we don't need to scroll. We're doing Project Management, Time Tracking, Resource Management, Invoicing. Our business is Software Development. The benefit is that we use one service for all features and all features are integrated and work with each other very beautifully. "A new kind of team management. " I think I like the clean UI the best. It’s simple to navigate, you can see all the tasks by the various departments in your team, and to be able to mark whether your done or in progress of a task easily. Everything is just there for you. Nothing much really, maybe being able to see some of your co workers names on tasks, but other then that, it has been delightful! Having your team organised. I realised with task management platforms like Avaza, it allows employees to see what is going on within their own groups, but to be also able to see what is going on with others, and thus everyone is able to take ownership and responsibility. "Amazing Customer Support & Beautiful Interface"
The design of the interface is so beautiful and easy to use. Even someone who isn't web savvy at all could easily navigate their way through. The customer support is amazing. They respond so quickly, and can do a screen share at any time. There are some features for the Xero integration I wish existed, but they are very minimal. Also, there are some project features we wish existed such as recurring projects, and other things. But overall the pros definitely outweigh the cons. Do a demo, sign up for a trial and screen share with support as many times as possible. It is worth it! We are able to track all our employees and run reports to track revenue based on clients. Right now it is simplifying the way we used to do do things at month end. "Amazing customer support, neat UI & ease of use!" I've researched dozens of tools & it's a challenge to find something makes sense on the three scales of feature-set, friction-less UI (which influences tool adoption in the team) & affordable pricing. I've found Avaza to rank very highly on all 3. To top that, the customer support (prior to pulling the trigger) is awesome - knowledgeable & prompt. We've been using it for a couple of weeks & I'm looking forward to exploring the huge library of reports once we have some more data. Well, nothing significant but it would be helpful to benchmark it with tools that are sending notifications for status change if tasks. This would be helpful for task followers & spur them into action. Having evaluated several project management, time tracking and billing platforms, Avaza seems to have the most user-friendly interface and best feature set for the money. Support from the team has been prompt and excellent and we are having no trouble getting up and running. There are a few key features missing that we look forward to seeing released in the near future such as Gantt charts and start/end times for timesheet entries (as opposed to just a block of time with no specific start and end point). Do your research and trial several options. We found Freedcamp was the closest match to Avaza in terms of price and feature set but Avaza had the better interface and a few key features we were after. Keeping better track of active projects and their budgets, and reducing email clutter are key wins already for us. I'm sure we'll see more great results as we get more familiar with the system. Features like Kanban view, Recurring Tasks, etc are very useful and not found in many other project management systems. Needs a bit of UX/UI polish still, lack of ability to re-order subtasks, nowhere to pin important project documents outside of the tasks themselves. Reports can't be modified and re-saved; you have to create new ones. UX improvement overall, more comprehensive filtering and global views of tasks/projects for project managers and collaborators to have a better idea of their responsibilities across multiple projects. We needed a less expensive project management system for our team that allowed some UI flexibility for our team members - ie. Our Content Creators + Kanban. We needed the ability to track time and budgets. Avaza seems to be doing all of that pretty well. 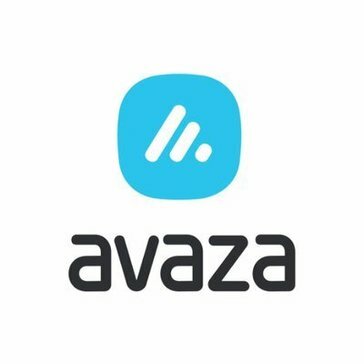 "Avaza solves problems without breaking the bank"
Avaza combines all of the necessary tools for a scalable business into a neatly organized yet powerful platform. Whether it's building and sending estimates, customizing or automating invoices, or even filing expense reports: Avaza can do it, and it can do it well. There has only been one aspect of Avaza that I dislike. The platform doesn't allow history to be changed; if a task was created and assigned to a close timesheet, the task is frozen in time and cannot be modified or deleted. History should consist of breadcrumbs that form a trail--it doesn't have to be locked in time. If you don't believe the reviews, do your own homework. I guarantee you will not find a better product for the price. I've been able to consolidate my business from dozens of spreadsheets to one neatly packed online dashboard. I can track sales, late payments, invoices, expenses, and timesheets all within one or two clicks. My team has been able to cut operational time and expenses. "New to Avaza but it has great potential "
I dislike that I cannot add bulk time off such as bank holidays to the teams schedule. You can add public holidays by going to Settings > Scheduling Settings. Please let us know if there's any confusion around this. "Easy to use with all the features you need to manage a service business"
Quoting - clients are able to accept the quote through the online link, then you can create a job from that accepted quote, right through to creating and sending the invoice (which integrates to Xero). It needs to include Lead capturing and tracking to become full circle. Definitely give it a try. So much easier to use than many other softwares. Thanks for your review Madeline! We're planning to add CRM/leads functionality in the future. Has everything I was looking for; Gannt charts, Kanban boards, payment integration, time tracking, Quickbooks integration, invoicing, proposals, and more that I haven't even gotten into yet. It's also super straightforward and simple to use. I spent 2 solid weeks looking for the most efficient software, because I was using so many different programs. It does all the things I need it to! This one costs me less than just one of the ones I was using. They also have a free version. Just that I can't color code my Gannt chart sections. Organizing my entire business inc. clients. I've saved a lot of time AND my clients are really pleased with the system. "Well developed business management tool"
Assigning certain roles to team members for which you must have to go through a subscription process. Performing and organizing certain tasks and all of the related things to that are required to run the project including expenses also by putting all the team members in the loop automatically to know about the progress in the process for completing certain project. "One of the best cloud based business management platforms out there." Avaza combines the best features of project management, CRM, expense management in one unified application. The user experience is quite intuitive and robust. Highly recommended for every project manager. Also because of their freemium plans, its quite convenient to first test the product and then sign up for their paid plans. I've also experienced their customer support and it was prompt, supportive and efficient. A highly reliable product from Australian entrepreneurs with the potential to generate worldwide buzz indeed. Channels like concept as is found in Slack may be? I must use tool if you are looking to streamline your project management workflows. I am running a digital marketing and analytics agency and I use Avaza for managing my projects, invoicing my clients, tracking the time of my team mates and to manage the tasks assigned to them. Time to complete tasks has reduced significantly and this in turn has significantly improved our efficiency. "Great software, rich with features"
This is the first Invoicing software i've found that works the way I do. Simple to populate, great looking invoicing, really in-depth reporting, and great customer support - can't fault it. Had some trouble doing my initial import of historic data - quickly resolved by Avaza's help team. Invoicing was always a pain, and setting new customers up successfully was particularly time consuming. Avaza makes that really easy, and has saved me a heap of time. "Very good tool for freelancing"
really good solution if you are new to freelance, provides the best options for most of the tasks and organizations. You can set up due dates for all your tasks, and you will receive reminders for these based on due dates. Please let us know if there is any confusion. As a startup, we appreciated the ability to accomplish multiple functions in one software. Invoices can be viewed, but we would like the ability to see invoices that were billed to a project under the project itself. Or at least the ability to filter invoices by a particular project. Also something that shows the total number of hours used on an entire project, not just on a task level. Avaza allows us to track time/tasks on a project, and bill clients directly from one software. You can both view all Invoices linked to a Project, and total hours logged (among other things) on the Project Summary Report. We hope to have this available from inside the projects soon. "Excellent for Team Communication while apart"
It would be great to have the platform on all types of browsers. Currently I use Safari more often than any other browser, but needed to use Chrome to be able to keep an eye on my projects. It let's me communicate with other coworkers that are in other cities or countries with out the hassle of mixed communication and misinterpretation while working with various projects. A great time saver and a great choice for project channeling. "Great tool for managing billable hours and keeping track of client invoices"
The interface is intuitive and user friendly. In the unlikely event that you cannot work out how some of the settings work, the Avaza team has a very good response time. If you have a growing business, this tool can make a huge difference in insuring you are on top of your invoicing, as well as monitoring how staff are allocating their time in the office. There are some features that could be improved. One example would be the fact that you cannot create client profile with multiple currencies for billing. There is a way around this (by creating 2 profiles for the same client), but it is obviously not ideal. Another example would be the fact that once an employee has entered data related to a client registered in the system (such as hours worked on a project), it is not possible to delete the profile of the employee further down the line. We are now able efficiently keep track of invoices outstanding or invoices that have not been paid in full. We have same valuable time, and as a result our staff are able to focus on our core business. Clients have also noticed that we have a professional notification system for outstanding invoices. "A beautifully affordable tool for freelancers and small teams." Avaza is a brilliant combination of project management, time tracking, estimating, invoicing and payment portal. I can set up my projects with categorized tasks, track hours against tasks, approve timesheets (in a very Harvest-like interface) tracked by my team, then carry the information into an invoice. I can submit the invoice via email to any number of client contacts, and generate .pdfs as well. Once received, the invoice can optionally be paid via Paypal or Stripe. Other features include recurring invoices, and a great contact management setup that allows you to add sever contacts for client businesses and even allow them to collaborate on their project. There is a very limited template design area which I have yet to experiment with. Best of all, it's freemium, and an upgraded package is extremely affordable monthly payment. There's nothing I'd like to put in this category as of yet, for the simple reason that every feature request I've submitted (rounding to the quarter hour, for instance) has been answered within 6 hours, and built within a week. This is an extremely capable team. Today I submitted a request for more robust invoice management tools and was contacted in 3 hours and told that 3 of my 6 ideas will be up for internal discussion. I hope these guys can keep up listening to clients like this. Avaza is growing quickly and efficiently. It's nice to be able to influence a product we use in a way that may allow us to use it for a long time. I am managing a very small team of people through project, and of course as much as we like getting paid, we are terrible at the billing cycle. I could have sprung for a beefier system, but I found this to be accessible and very well built. "Azava is AMAZING! We manage our entire Film and TV Productions from beginning to end through it." As a Manager who has Produced on Hollywood films and thousands of TV Productions, Azava is my choice for managing our entire Productions Management Process. It’s an all-in-one Cloud based software that we use all around the world for Production Planning, Management, Time sheeting and Invoicing. It give us everything we need from beginning to end. It’s amazing! Azava gives us every tool we need and ultimate control over managing our Production Planning and Workflow. It’s Cloud Based System allows us to plan and monitor: Tasks and their associated Budgeted vs Actual, Workflow , the Production Team and their timesheets. With the automated reporting system, it gives us and our clients instant overviews on where everything is at, at any one time. We can ultimately see in easy to understand diagrams and/or detailed figures, if we are on budget or running over. If a client asks for something new on a project, it’s added, clients can agree, it is tracked. This gives everyone involved ultimate transparency. When beginning any project through Azava, we can invite all team members and clients to work online around the world. Azava is super easy to use and it creates a transparent platform for anyone involved in one of our Productions, to monitor, communicate and to track tasks, time and expenses at any one time. Avaza’s software support is fantastic, training is wonderful , helpdesk are incredibly one the ball, and the software just keeps on getting better and growing with every update. The guys who created this software, know what they are doing, and are game changes. To be honest I haven't come across anything we dislike yet. If we have need a new feature on Avaza, we have asked for it and its been added and/or the helpdesk team have provided a workaround for us. As a Manager Azava is the ultimate tool for us to measure how well we are doing at any one time. Are we on track? Are we on budget? Its not up to the Producer to translate information for us anymore, with the right planning up front, the software does it for us along the whole way. One of the things I love about Azava as a Business Owner is; if one of my Producers are unavailable, it allows anyone to see where everything is at and pick up where they left off. If a team is behind in tasks, we can identify this Azava generated charts, literally child could understand, and we can see where we need to allocate staff and/or recourses. I like that it seems to do everything all together in one neat little package. Both project management, time tracking, and invoicing... all at a great price! Better tutorials... I wish it had video tutorials and overviews. I am much more of a visual learner. Though they did say that it is in the works. I've looked into a lot of project management applications and this is the only one that met all my needs and at a great price! Keeping things organized and tracking time and money. This has helped me a great deal in this department! * We monitor all Avaza reviews to prevent fraudulent reviews and keep review quality high. We do not post reviews by company employees or direct competitors. Validated reviews require the user to submit a screenshot of the product containing their user ID, in order to verify a user is an actual user of the product. Hi there! Are you looking to implement a solution like Avaza?